On Friday, Russia opened a second front in its undeclared war against Ukraine. In an announcement lost in the back pages of Western newspapers, Vladimir Putin’s regime banned dairy imports from Ukraine, officially due to “quality concerns.” The move is a clear act of warfare – albeit the economic kind. It sends the message that even if Ukraine defeats the Russian-sponsored rebels, Moscow can still ruin it economically. Ukraine’s economy is far more dependent on bilateral trade than Russia, making it vulnerable to Moscow’s trade sanctions. Putin has exploited his economic leverage in the past, and will undoubtedly do so again. Last fall, Ukraine’s former President Viktor Yanukovych was ready to sign an economic association agreement with the EU. Putin responded by threatening trade sanctions that would have plunged Ukraine into deep recession. Yanukovych instantly changed track and signed an association agreement with Russia instead. 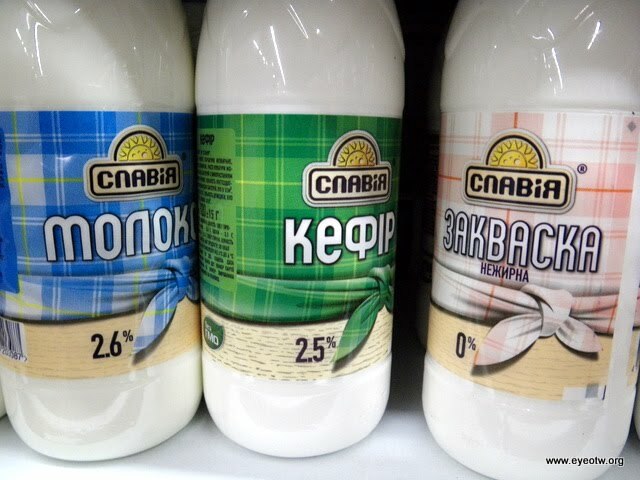 Russia recently banned all imports of Ukranian dairy products. Other post-Soviet states have felt Moscow’s economic clout in similar ways. In 2009, a short-lived spat between Putin and Belarus’ President Aleksandr Lukashenko led Moscow to ban all imports of dairy products from the neighboring country. Georgia saw its wines banned from the Russian market following the Russo-Georgian war in 2006. Blocking gas exports to neighboring countries has proven to be particularly damaging, as Ukraine had to learn again and again. This kind of economic warfare works because Russia is bigger, stronger, and has less to lose from interrupted trade. In the end, weaker states are forced to either accept Moscow’s demands or face serious economic repercussions. What is a serious threat to Ukraine’s sovereignty is also a problem for the EU. After all, Russia can and will use its economic leverage to prevent ex-Soviet States from integrating into Europe. If the West is serious about helping Ukraine gain independence from Russia, it needs to support Kiev in its latest trade war. NATO’s success during the Cold War offers a model for how this can be done. Following World War II, the Soviet Union was the unrivaled military power on the European continent. No single Western European state had the means to defend itself against a possible Soviet invasion. In response, Western states came up with the concept of collective defense as enshrined in the founding agreement of NATO. Under the treaty, any attack against a NATO member state was deemed an attack on all, committing member states to defend their allies. The concept of collective defense worked exceptionally well as a deterrent. No NATO member was ever attacked by the Soviet Union. In order to prevent Russia from bullying its weak neighbors today, Western states should apply the concept of collective defense to the economic sphere. Europe needs a trade NATO. Under such a treaty, member states would treat politically motivated sanctions by any country against a member state as sanctions against all member states – automatically triggering a collective response. For example, if Russia banned the import of Georgian wines, all members of the trade alliance would in turn ban the import of certain Russian goods. The nitty-gritty details of which sectors should be affected by sanctions would certainly lead to arguments among member states, but the prospect of a collective response would still make it extremely costly for Moscow to impose any form of sanctions. By definition, a trade NATO should only cover sanctions that are part of a hostile foreign policy strategy against a member state, and determining what falls into that category won’t always be easy. Was Russia’s decision to cut off Ukrainian gas an attack on Kiev’s sovereignty or a legitimate response to non-payment of bills? What if there are legitimate safety concerns behind an import ban? But while some cases may be murky, many others—such as Russia’s dairy import ban—are clearly hostile acts. If well designed, collective economic defense could be just as effective a deterrent as NATO was during the Cold War. An important part of any such treaty would be a mechanism that balances out the cost of sanctions among member states. One reason why European sanctions against Russia have been largely toothless so far is that certain states have more to lose then others and are reluctant to curtail trade. Germany’s industry depends on Russia’s gas and Russia is an important buyer of German industrial goods. London’s financial market would be less significant without Russian capital, and France’s defense industry has found an eager buyer in Moscow. These countries would be more willing to join a trade alliance and impose sanctions if they were compensated for their losses by those member states with little to lose from interrupted trade. Member states could pay a certain portion of their annual GDP into a collective fund. In the event of sanctions, the fund could be used to support those states that would suffer from interrupted trade. The example of the IMF shows that such a collective fund is complicated but workable. For now, the U.S. and the EU must do what they can to end the civil war in Ukraine. But even if fighting stops, the country still faces an existential threat from Russian trade sanctions. If Europe’s governments want to stop Russia’s aggressive expansionism, they need the kind of solidarity their predecessors showed when they founded NATO in 1949. Konrad Putzier is a New York-based journalist. He blogs at thelongerview.org.